Google is moving fast with some nice features on search (Answer engine, Knowledge Graph, Structured data, voice search..etc). Sometimes Google is shrinking organic opportunities for websites owners with direct answers and 0 click queries (weather, some featured snippets, flights, definitions..etc) and sometimes giving some new landscapes. I believe that Google Discover is a new opportunity to get targeted visitors. 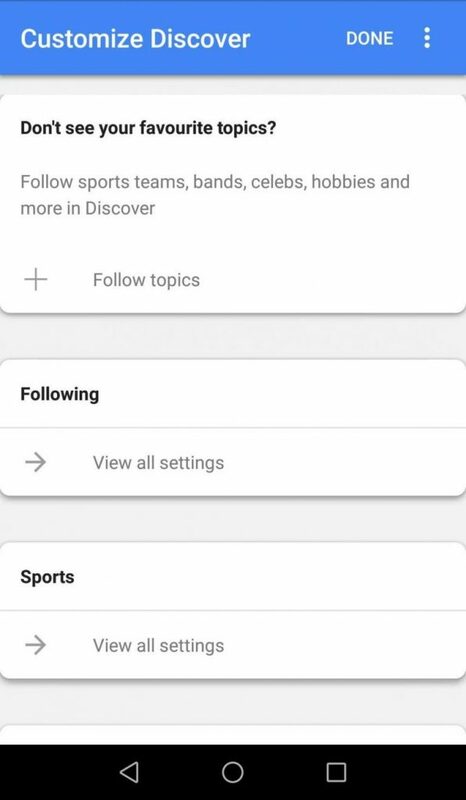 For those who don’t know what Google Discover is, please speed jump to the end of this post. How does Google discover works ? How to optimize your content for Google Discover ? 4- Promote your content on different platforms and try to have engagement ! How to track Google Discover performance statistics ? Launched in 2017, Google Discover (previously Google Feed) is used by more than 800M monthly active users in several languages [stat of September 2018]. Frankly it is a great potential to drive qualified traffic to your website ! Why qualified ? It is simply because Google is giving users contents (posts, articles, videos..etc) that is based on their interests or what Google thinks they are. It is obviously an interesting channel to target ! Some user’s device information such as : time, contacts, agendas, applications, music and even the battery level.. surprised ? With all this data and some intelligence, Google is able to predict users searches and interests [Bill Slawski wrote about an interesting patent on how Google Might Predict Query Intent Using Contextual Histories. For SEO, the process is clear, site owners produce optimized contents to target queries users search for..Google Discover is queryless. People don’t query to find contents, Discover predict what could be interesting for them. Google Discover likes providing different formats of engaging contents from posts, news, images to videos. So try to produce contents in varied formats and types. Don’t forget that Google Discover look and feel is very near to social media feeds (Twitter and Facebook walls). Google is aiming to take a step further providing an engaging online user journey. Prefer high quality images on thumbnails. Google recommends providing large images that are at least 1200px wide. General Google guidelines for quality contents apply. Be sure that Google has the rights to display your HD photos by using AMP or by filling this opt-in form. Google Discover is available in many languages and locations so don’t miss this Internationalization and localization opportunity and try to get highlighted there for reaching new audiences. Quick tip : Make a list of most popular mobile APPs per targeted language /country and try to publish your content there. Remember, Google Discover makes use of users actions on Apps and visited webpages. Try to get a maximum of reach on different platforms (Facebook, Twitter, LinkedIn, Pinterest, personalized email marketing..etc). I analyzed many contents that appeared in Discover and the majority had a good engagement metrics (social media and links). This could be useful to have targeted engagements. So why not to boost your content for that signals. 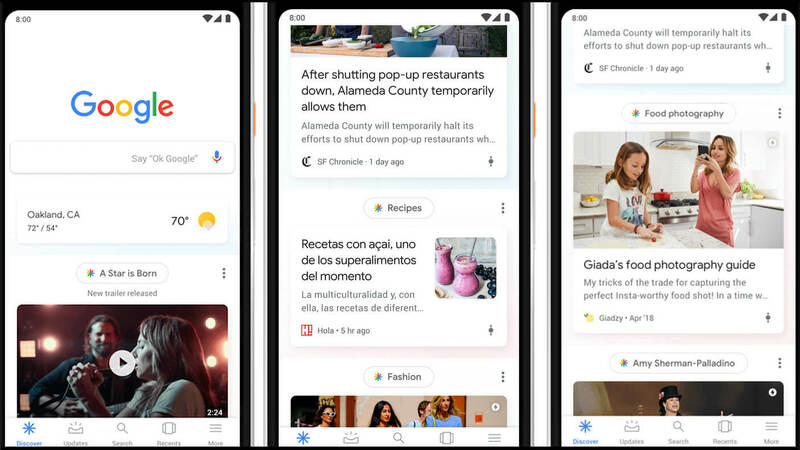 Google Discover highlights engaging contents and mostly videos. Enrich your contents with high-quality videos. Before becoming Discover, Google feeds only showed fresh news articles. Google Discover also provides evergreen content that could interest users. In your production process and editorial calendar, plan both of them. This also applies to classic SEO approach. Find trendy topics that your target audience is looking for and write a quality content on it. For that i recommend to use Ahrefs keywords explorer to have some interesting newly discovered keywords. You can also use Ahrefs content explorer to see what contents are getting more engagements (social shares and links). Also evolution over time of a given topic. You can see that France national rugby league team is an interesting topic in the Sports category. 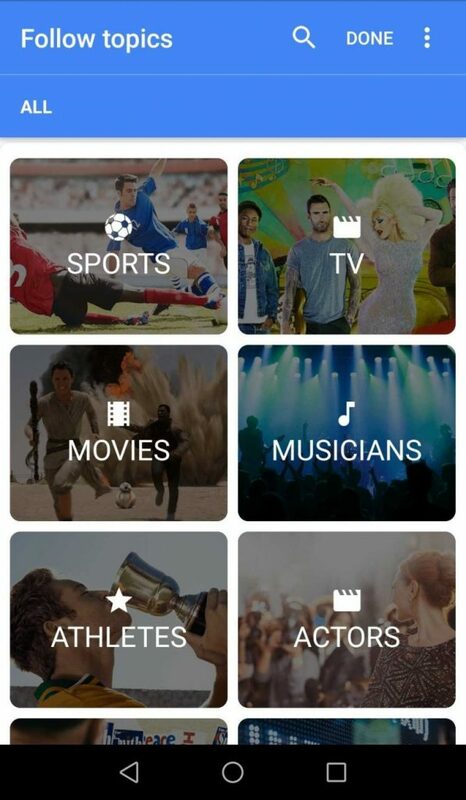 By following the Sports category, we will be able to see what URLs Discover is displaying. Being awesome on mobile is a must for Google Discover. Let’s say in two words : Your website should be mobile compatible and has good web performance (speed) metrics. Go to Aquisition>All Traffic>Referrals and search for googleapis.com entry. This post is not a recipe for getting in Google Discover, it is more about test and learn and my personal thoughts.